In the sixth iteration of the inter-city best practice visit concept, Louisville was selected for the strides made in education & workforce development, waterfront reimagining, targeted cluster incubation and acceleration, place making, and tourism branding. While its economic output, unique assets, and population make the area more of an aspirational city, as opposed to a peer community, these types of areas still offer insight to numerous themes that could be adjusted to fit Sarasota’s local scale. 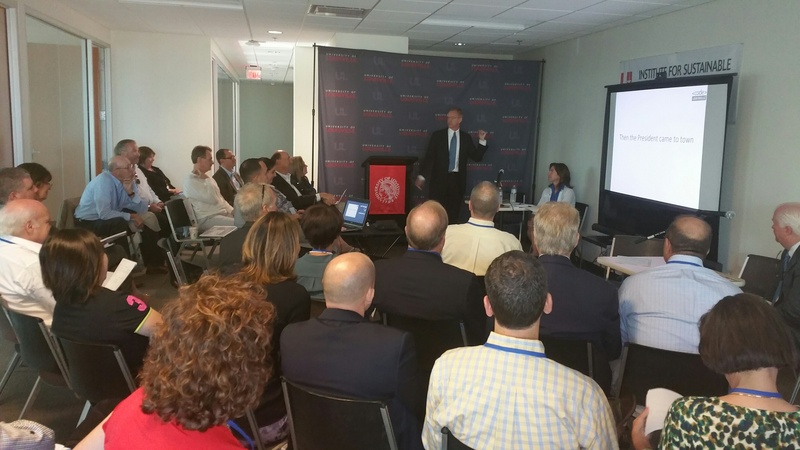 The visit began with a presentation from Kent Oyler, President of Greater Louisville, Inc (GLI). GLI serves as the metro-area Chamber for the 15-county/2-state region anchored by Louisville itself. The GLI regional model is as an outstanding example of purposeful collaboration and asset leverage. The regionalism was again on display during a presentation from Michael Gritton, Executive Director of the regional workforce board KentuckianaWorks. The organization, whose name is a blend of Kentucky and Indiana, serves a seven-county region across the two states. Presenting alongside Mr. Gritton, during a panel on education and workforce initiatives, was Mary Gwen Wheeler, Executive Director of 55,000 Degrees. This organization, launched through a commitment of numerous area stakeholders, seeks to add 55,000 additional college degrees to the Louisville metro-area. Driven by a desire to elevate the area to the top tier of peer communities, goals are determined through educational attainment, area government, educational, and business leaders committed to adding 40,000 more bachelor’s degrees and 15,000 additional associate’s degrees by 2020 such that half of the population would attain a post-secondary degree. A number of key strategies being employed throughout the region have the potential to inspire a similar push for local, elevated degree attainment. Redevelopment was also an overarching concept that surfaced numerous times throughout the visit. Sitting on the banks of the Ohio River, stretches of Louisville’s waterfront long stood as a collection area for industrial waste. The late 1980’s gave rise to the area’s Waterfront Development Corporation, which set out to coordinate and implement strategies to revitalize the city’s waterfront. The travel group also heard from Gill Holland, the chief redeveloper and investor in NuLu, an abbreviated form of New Louisville. NuLu is the product of a multi-million dollar redevelopment of what was formerly one of Louisville’s most dangerous and blighted areas. Today, the area is known for its walkability, art galleries, unique retail options, and upscale eateries. 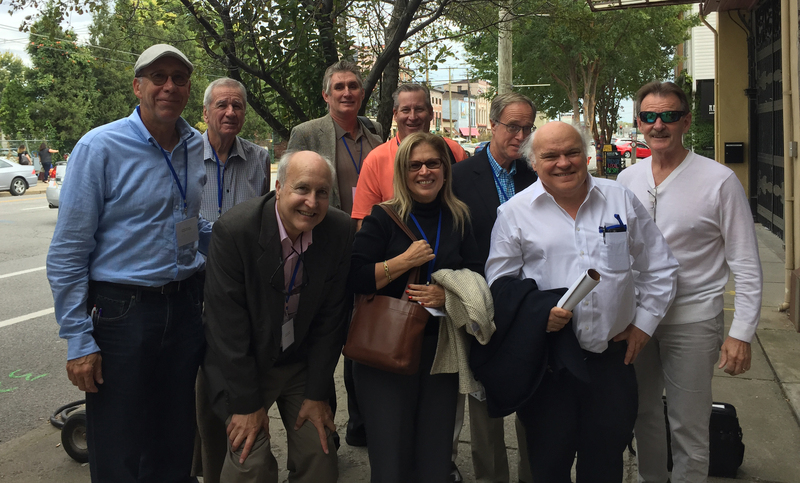 Later in the trip, after hearing Holland’s story, some members of the group opted for a guided walking tour of the redeveloped area. Rounding out the major themes of the trip, entrepreneurial innovation, incubation, and acceleration were areas of focus during other panel discussions. 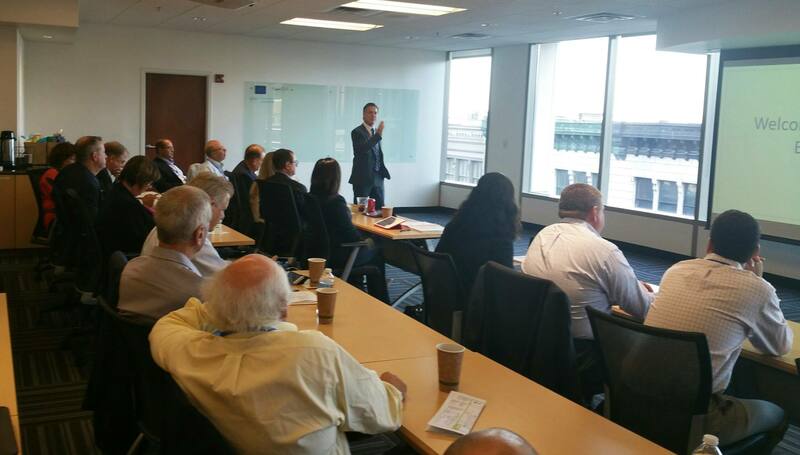 The delegation heard from representatives at XLerate Health, the Institute for Sustainable Health and Optimal Aging and Innovate LTC, to name a few. 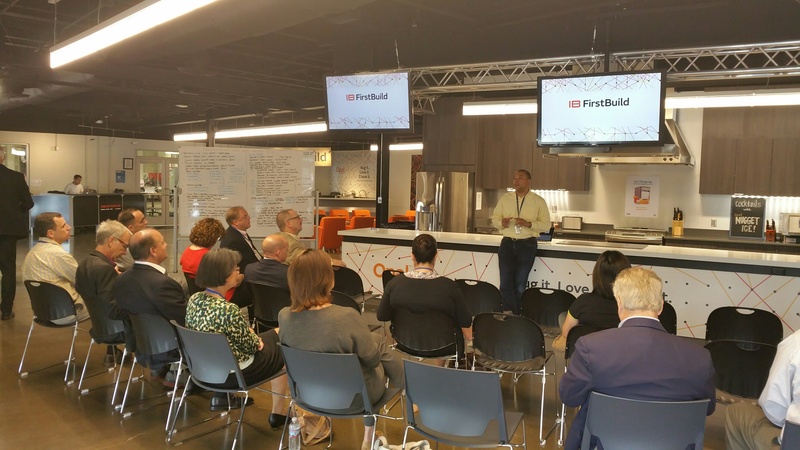 Some members of the group elected to take a tour of FirstBuild, a partnership between General Electric and Local Motors that encourages a community of creators and early adopters to suggest and create the next generation of appliance designs, features, and types. Much can be said about the successes that Louisville enjoys in the key areas of focus that carried the city to the top of the list for the 2015 trip. Travelers returned to Sarasota with a number of key ideas and areas of inspiration. It’s critical for areas like Sarasota to turn an eye towards forward leaning communities that are excelling in areas that it wishes to bolster. Louisville certainly served that purpose during this year’s visit. For more information about this inter-city visit, contact Vice President of Public Policy Kevin Cooper (kcooper@sarasotachamber.com). This trip was produced by the Economic Development Corporation of Sarasota County and The Greater Sarasota Chamber of Commerce’s Sarasota Tomorrow NEXT initiative. Special thanks to presenting sponsor SRQ Media Group as well as to dinner sponsor, Stonegate Bank.